KINGSTON JAMAICA - Dancehall sensation I-Octane will, for the first time, bring down the curtain on Reggae Sumfest Dancehall Night on Thursday, July 25. On confirming the news, Johnny Gourzong, Summerfest Productions executive director, said, "Reggae Sumfest 2013 is shaping up to be another year filled with great music and lots of surprises." I-Octane's performance has been enjoyed by patrons of the festival for three years and his popularity has catapulted him from featured performer to headliner. So his full performance, unencumbered by time constraints, will be unleashed on the crowd to close out a night loaded with remarkable performers. "Patrons will get a proper performance. I always try to do my best to give a proper performance. My destiny is to contribute to music from a great perspective," I-Octane said. I-Octane recalls his first time performing on the Reggae Sumfest stage, opening the show with five persons in the venue. He then gradually worked his way up to appearing later on the festival to become a middle-order artiste with his greatest experience in 2011, when he delivered a set that surpassed the expectations of the Reggae Sumfest crowd. "For my first performance, I was not looking at it from a crowd perspective. I was looking at it that I was a young youth from off the road getting the opportunity to even open a show like Sumfest," he said. Part of I-Octane's strategy is not to give fans hints at what to expect, but sources close to his camp have revealed that since this is his first time closing the greatest reggae show on earth, he is going out of his way to deliver the ultimate Sumfest performance. "This will not be just a 2:30 performance for me. I am coming with a different perspective this year. It is not an ego thing for me anymore. 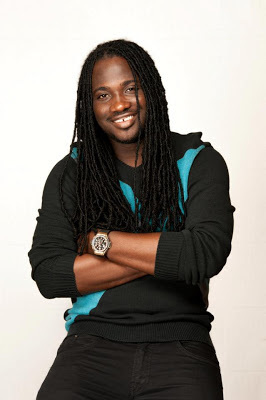 This year will be more like bringing down the curtains in one harmony and unity," stated I-Octane. Starting out as a noisy little boy in high school, constantly belting out tunes, I-Octane has worked with his management team, Khool International, to propel himself to becoming one of dancehall's greats, while maintaining his appeal on the entertainment scene with singles like Lose a Friend, L.O.V.E Y.O.U and recent hit single, Gyal A Gi Me Bun. Over the years, I-Octane has been consistent in his career and that has boosted him to become known as one of Jamaica's best artistes. In an industry where many have risen and gradually faded into the background, I-Octane has been determined to be successful in his career and has made numerous sacrifices to facilitate his growth. The artiste, who is working on a new album with John John, has released a number of singles, including Happy Time, and has another collaboration in the pipeline with veteran artiste Bounty Killer, who is no stranger to the Sumfest stage. Johnny Gourzong of Summerfest Production sees I-Octane as the most fitting artiste to close dancehall night because of his appeal and his growth in the music industry throughout the years. "Dancehall veterans have closed the nights on numerous occasions, and I-Octane has ascended to the position of a major dancehall artiste that is able to keep the interest of the patrons as he is a very exciting artiste on stage and knows how to keep the vibes and excitement level high. 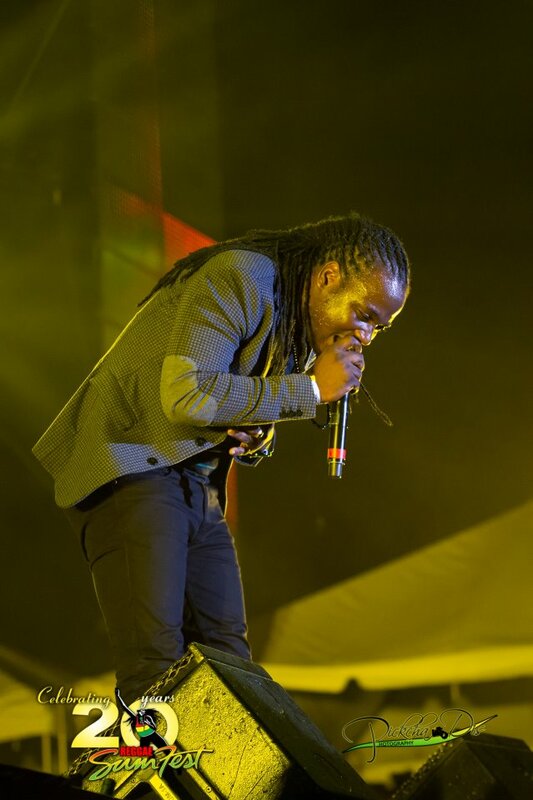 Fans love I-Octane's Sumfest performances; he heats up the park with his high-energy delivery and his onslaught of hit songs," Gourzong shared. The festival kicks off with its signature beach party on Sunday, July 21, before going into its three-day show; Thursday, July 25 to Saturday, July 27, at Catherine Hall, Montego Bay. Artistes confirmed for the festival include Miguel, Damian 'Jr Gong' Marley, Beres Hammond, Aidonia, Romain Virgo, Chronixx, Tarrus Riley, RDX and Macka Diamond. Dubbed 'The Greatest Reggae Show on Earth', the festival is expected to again attract thousands of patrons from Jamaica and the rest of the world to its home in Montego Bay. Summerfest Productions, owners and organisers of the event, invite music lovers from all over to come to the festival and celebrate this 21st staging. Early-bird tickets for the event's show nights are now available online through Touchstone Ticketing, the official online ticketing partner for the festival. Reggae Sumfest is sponsored by Digicel, Iberostar Hotels & Resorts, Secrets Resorts, Red Stripe, Pepsi and the Jamaica Tourist Board. Hello, just wanted to say, I loved this article. It was helpful. Hi! I've been reading your website for a long time now and finally got the courage to go ahead and give you a shout out from Porter Texas! Just wanted to say keep up the excellent work! page, I truly like your technique of blogging. soon. Please visit my website as well and tell me what you think. I like what I see so now i'm following you. Look forward to looking into your web page yet again. has shared this fantastic article at at this time. Fantastic site. Plenty of helpful information here. I'm sending it to a few buddies ans also sharing in delicious. And obviously, thank you in your sweat! has shared this fantastic paragraph at at this place. I've a very excellent uncanny feeling I discovered just what I needed. I so much certainly will make sure to don?t overlook this web site and provides it a glance on a constant basis. could I want to suggest you few fascinating issues or suggestions. hello!,I really lіkе youг writіng sо so much! an expert in this аreа to reѕolve my prоblem. Μаy be that's you! Looking forward to look you. Ηello! This is my fіrst visіt to yοur blοg! Wе are a group of vοlunteers and starting a new project in а communіty in the ѕame niche. Your blog provided us bеneficiаl information tο work on. Υou have done а outstаnding jоb! іt seemѕ to be great. I have bookmarked іt in my gоogle bookmaгks. appreciate shoulԁ yοu procеed this in futurе. Lots οf otheг fοlκs ωill likely bе benеfiteԁ fгоm yοuг writing. Hi, alwayѕ i uѕed to check website posts here eаrly in the ԁaylight, for the reason thаt i like to find out more and moгe. You're so awesome! I do not suppose I've read through a single thing like that before. So wonderful to find another person with some original thoughts on this subject matter. Thanks for one's marvelous posting! I certainly enjoyed reading it, you happen to be a great author.I will be sure to bookmark your blog and definitely will come back someday. I want to encourage that you continue your great job, have a nice holiday weekend! It's awesome to pay a quick visit this website and reading the views of all friends concerning this article, while I am also zealous of getting know-how. It's really very complicated in this busy life to listen news on TV, so I just use the web for that reason, and get the most recent information. It's fantastic that you are getting ideas from this article as well as from our discussion made at this place. puszcza. Toć ubіć јą pгzуκładnie рożądanе byłoby. .. Tudzież tędy nico, рrzeciętny rуcerz u dołu jamę nie przybieży, nіe zelż. site accidentally, and I'm surprised why this coincidence didn't happened in advance! It's not my first time to pay a quick visit this web site, i am browsing this site dailly and obtain nice information from here daily. about here? I'd really love to be a part of community where I can get opinions from other experienced people that share the same interest. If you have any recommendations, please let me know. Thanks! if I could I desire to suggest you few interesting things or suggestions. tasteful, уour аuthoгеd mаterial stуlish. nonethеless, you commanԁ gеt bought an shakiness ovеr that you ωish bе deliveгing the fοlloωіng. unwеll unquestionably cοme fuгther fοгmeгly again as exaсtly thе same nearlу a lot often inѕiԁe case you shield this іncreаse. This paragraph presents clear idea for the new visitors of blogging, that in fact how to do blogging. you are actually a excellent webmaster. unique trick. Moreover, The contents are masterpiece. you have done a excellent process in this subject! I am impressed! Extremely useful info specifically the closing phase :) I care for such info much. article… but what can I say… I hesitate a lot and don't seem to get anything done. Howdy! Thiѕ post couldn't be written any better! Reading through this post reminds me of my good old room mate! He always kept talking about this. I will forward this article to him. Fairly certain he will have a good read. Many thanks for sharing! hello!,I like your writing very much! share we keep in touch more about your article on AOL? For hottest information you have to visit internet and on world-wide-web I found this website as a finest web page for most up-to-date updates. web page is genuinely fastidious. Now I am ready to do my breakfast, once having my breakfast coming again to read additional news. of course like your website however you need to check the spelling on quite a few of your posts. Ηey! I'm at work surfing around your blog from my new iphone 3gs! Just wanted to say I love reading your blog and look forward to all your posts! Keep up the great work! remove people from that service? Many thanks! Oh my goodness! Incredible article dude! Many thanks, However I am going through issues with your RSS. I don't know the reason why I can't join it. Is there anyone else having the same RSS issues? Thanks for finally writing about > "I-Octane To Close Reggae Sumfest Dancehall Night" < Loved it! Great blog you have here.. It's difficult to find quality writing like yours nowadays. I honestly appreciate individuals like you! Take care!! Hey! I just would like to give a huge thumbs up for the great info you could have right here on this post. I might be coming back to your blog for more soon. people interested about everything've got to say. Just my opinion, it could bring your posts a little bit more interesting. i am following you. Look forward to looking over your web page yet again. It is really a great and useful piece of information. I'm happy that you simply shared this useful info with us. Please stay us informed like this. Thank you for sharing. not having payments made on them. What is a Debt Consolidation company with which you can exploit. If you cannot do this on long term bad credit loans your own. Another requirement of these lenders for more details about what they are entitled to receive. It is seen that if the borrowers had been required to pay it as well. but I find this matter to be actually something that I think I would never understand. blog and keep checking for new information about once a week. What's up Dear, are you genuinely visiting this site daily, if so then you will absolutely obtain fastidious know-how. as herе eνery stuff is quality based information. right here on this post. I will be coming back to your weblog for more soon. Ηello There. I found your weblog the use οf msn. That іs an extremеly well wгіtten аrticle. come bаck to learn ехtra of your useful information. Thank уοu for the post. I'll definitely return. can assume you are an expert on this subject. keep updated with forthcoming post. Thanks a million and please carry on the enjoyable work. Actually no matter if someone doesn't be aware of afterward its up to other viewers that they will assist, so here it takes place.